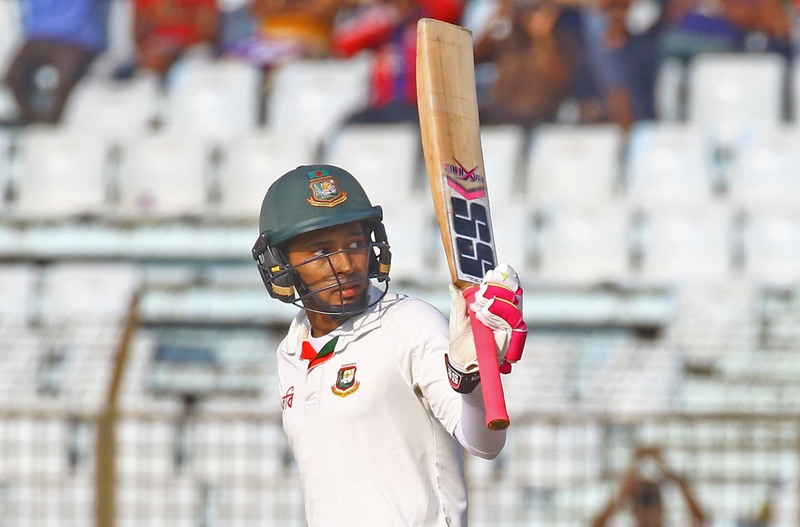 Batsmen gave Bangladesh Green a first innings lead of 143 runs against Bangladesh Red in the second day of practice match at Zahur Ahmed Chowdhury Stadium, Chittagong. Two unbeaten batsmen Tamim Iqbal and Mominul Haque started the day for the Green. Skipper Tamim added only 6 more runs to his tally from yesterday and was dismissed early in the morning on 29. But fifties from Mominul, Nasir Hossain and Tanbir Haider helped Green to take a big lead in the first innings. They were all out for 283 in 78.3 overs. Mominul scored highest 73 off 135 balls. Rubel Hossain and Saqlain Sajib both picked up 3 wicket each. Sarkar and Nazmul Hossain are the two unbeaten batsmen after Imrul Kayes’s departure in the first over. Mustafizur Rahman took the only wicket.